Pinterest just pushed up the timeline for its IPO. In an S-1 filing with the Securities and Exchange Commission, the company announced plans to list on the New York Stock Exchange under the ticker “PINS” by April. The pin-based network was previously planning to list in June. The company’s latest filing also revealed significant details about its business, which had previously been private. Pinterest said its revenue grew 60% to $755.9 million, last year. Still not profitable, the company also said it’s losing less money. At the end of 2018, it generated a net loss of $63 million, compared to a net loss of $130 million at the end of 2017. At the end of 2018, Pinterest also reported 265 million users, and more than 175 billion “pins” saved to its platform. In its filing, Pinterest also opened up about what it considers to be its competitive edge in a crowded digital marketplace. Namely, Pinterest portrayed itself as the perfect discovery engine. “Usually, [visitors] are still undecided about what products and services are right for them,” the company notes in its S-1 prospectus. “97% of the 1,000 most popular searches on Pinterest are unbranded. 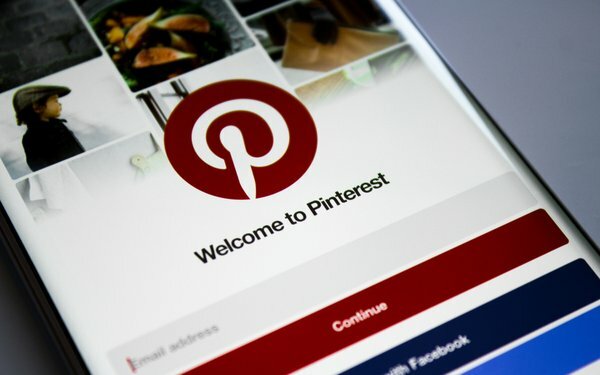 “The early commercial intent of Pinners differentiates us from other platforms and is attractive to advertisers looking to raise awareness at the top of the purchasing funnel,” according to Pinterest. Targeting more traditional media channels, the company also believes it has an opportunity to capture brand advertising dollars currently being spent in offline channels. To satisfy investors, Pinterest insisted that “new and improved products” for users and advertisers would lead to consistent growth over time. Specifically, the company plans to improve the relevance of its ads by leverages its insights into users’ tastes and interests. A similar strategy has left Facebook and other tech titans facing tough questions about consumer privacy. Along with the development of improved measurement tools, Pinterest also believes it can continue scaling its relationships with advertisers.